A sign protesting the Mad River Township mining project, in Clark County. Some Clark County residents are pushing back against a proposed mining project in Mad River Township. Opposition to the project has been growing louder after company Enon Sand and Gravel announced plans for the quarry project last year. Opponents argue the mine could threaten the water supply, create noise pollution and hurt the property values of more than 200 nearby homes. Diana Pry, a Clark County resident and president of a group called Citizens Against Mining Mad River Township, overlooks the proposed mining site from her house. Outside on her backyard deck, Pry says she and her neighbors are worried the mine may cut off the community’s access to its supply of groundwater. “I think our biggest concern is really the water, for most of us. We’re on a well here, and we have good water here," she says. Citizens Against Mining was organized last March in response to Enon Sand and Gravel’s permit application. 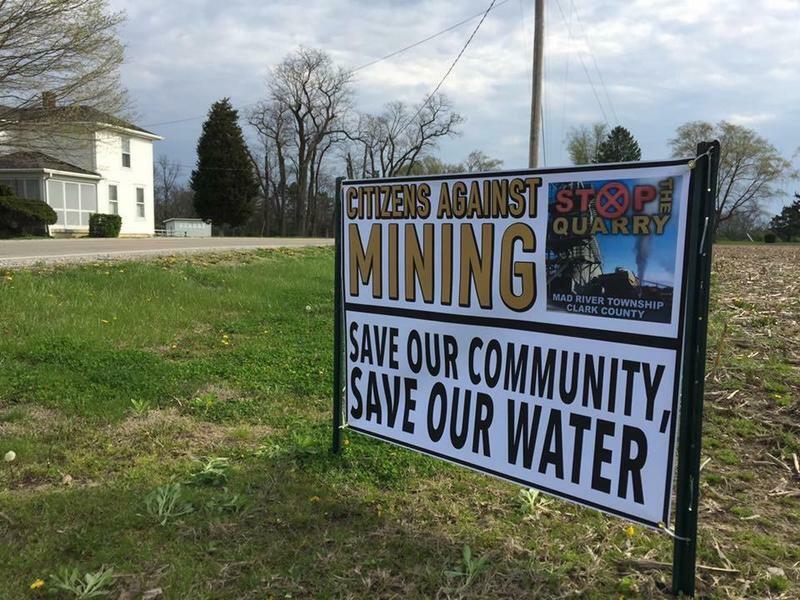 The group has so far collected more than 1,500 signatures on a petition against the quarry mine. 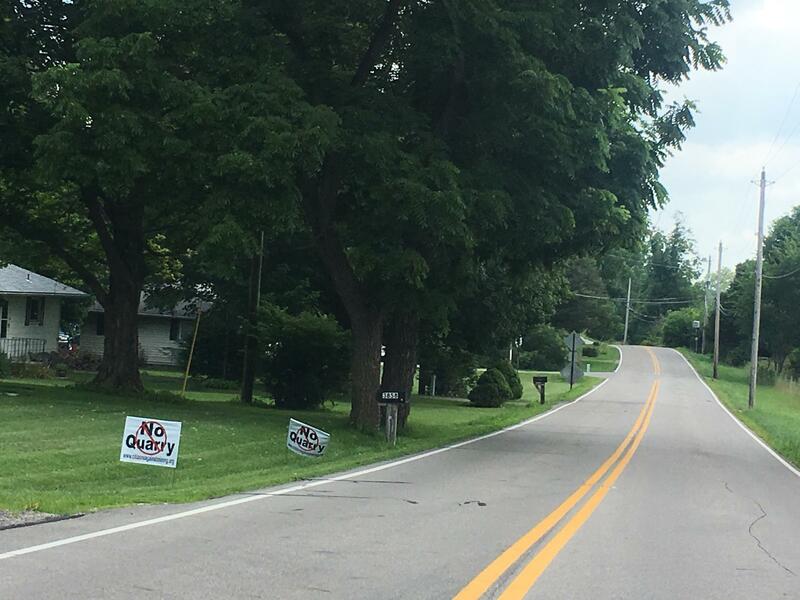 "No Quarry" signs courtesy of Citizens Against Mining line a road in Mad River Township. The proposed project would use explosives to blast limestone from the quarry and crush it on-site using specialized machines. The project may also increase road traffic in the area as trucks would haul an estimated 300,000 tons of gravel from the site each year. Citizens Against Mining hired hydrogeologist Brent Huntsman of Terran Corporation to evaluate the site. Huntsman says the type of limestone mining proposed by Enon Sand and Gravel could deplete surrounding wells and damage the water quality. “When you de-water, you lower the water table and when you lower the water table you draw down things from the surface into the aquifer itself. You can drag down contamination or you can dry it up, you can remove the water supply for the people,” he says. 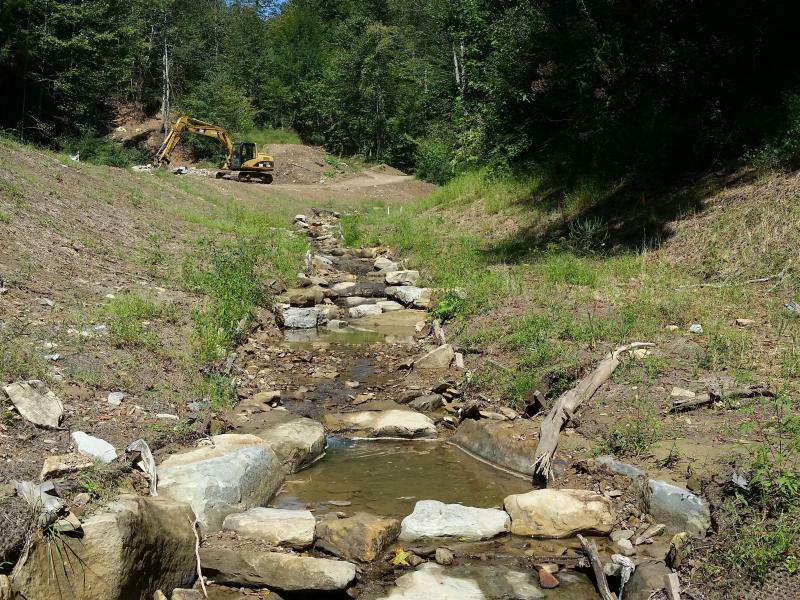 The Enon Sand and Gravel project has already won approval from the EPA and the Ohio Department of Natural Resources. Officials with the Jurgensen Company, which is affiliated with Enon Sand and Gravel, released a statement saying officials are working with regulators to ensure health and safety at the proposed mine site. “A core part of our business at Enon Sand & Gravel has always been the implementation of sustainability guidelines as part of our continuous improvement program in the areas of health and safety, community relations and environmental stewardship,” the statement read in part. The company has also filed a lawsuit against Clark County asking for a zoning exemption that would clear the way to begin operations. The case is set to go to court in September. Back in Diana Pry’s backyard, a neighbor is mowing the lawn. 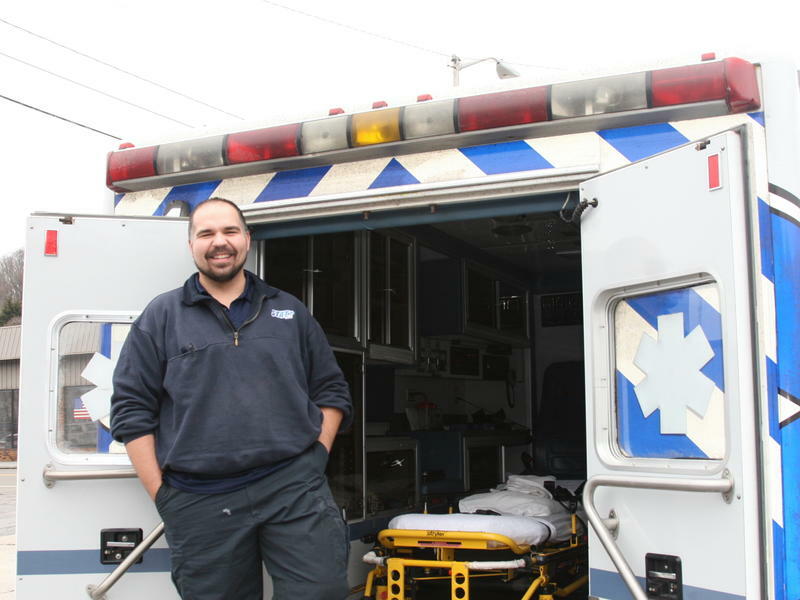 Pry says if the Enon Sand and Gravel project is ultimately approved, it could hurt the neighborhood’s idyllic quality of life. Environmental advocates are warning Ohioans that the state’s land, air and water are all at risk if the proposed cuts to the U.S. EPA are implemented. 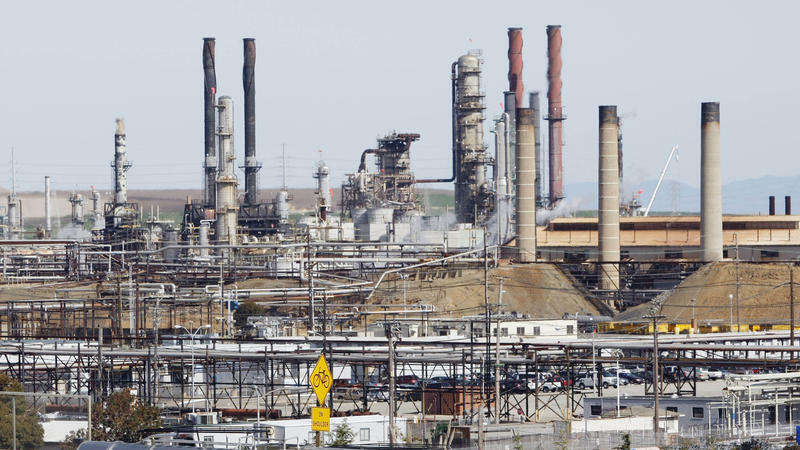 A plan working its way through Congress could cut the U.S. EPA by 8 percent. 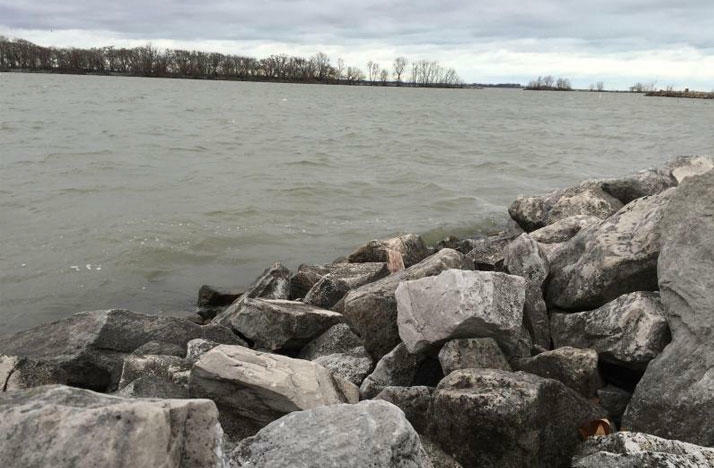 Environmental groups, including the Sierra Club and Moms Clean Air Force, say this poses a threat to Ohio’s most valuable resources, such as Lake Erie.